Spacing and crowding problems often cause impaction and infections, not to mention disrupting the work that braces have achieved to improve your smile, which is why many people elect to have their wisdom teeth removed. The more you know about your wisdom teeth… well… the wiser you will be. All kidding aside, wisdom teeth are the third set of molars that erupt in the late teen years to early twenties. Spacing and crowding problems often cause impaction and infections, not to mention disrupting the work that braces have achieved to improve your smile, which is why many people elect to have their wisdom teeth removed. You may develop pericoronitis if you have a partially-erupted wisdom tooth that has become inflamed. Pericoronitis is inflammation of the gum tissue surrounding the crown portion of a tooth. Pericoronitis usually affects the lower third molar (wisdom tooth) where gum tissue overlaps the chewing surface of the tooth. Often, inflammation is caused by food lodged beneath the gum. Regular checkups by your professionals at Longmeadow can help identify problems early, so always keep your appointments. When your wisdom teeth erupt, or break through, they may cause overcrowding, which could negatively affect the alignment of your teeth. But for some, the wisdom teeth never break through, becoming impacted beneath the gum and causing problems with the neighboring teeth. If you have an impaction or feel that your wisdom teeth may be crowding the rest of the surrounding teeth, make an appointment so we can properly evaluate the situation. Like with any tooth extraction, if you’ve had your wisdom teeth extracted recently, it’s important to keep the areas as clean as possible. Your doctor should provide instructions to help you get back to eating and drinking normally, but it’s critical to follow the instructions carefully, especially the first few days. Wisdom teeth extraction recovery time is typically three to four days, although it can be as long as one week. The length of recovery depends a lot on how badly the wisdom teeth were impacted and how they were erupting. 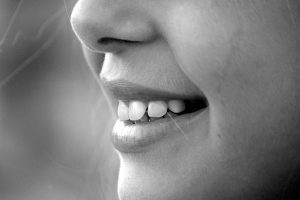 Should you have any concerns regarding your teeth and overall oral health, remember that we at Longmeadow Family Dental Care are here to help. Just call or make an appointment.